Guy Mitchell (born Albert Cernik in Detroit in 1927) certainly belongs on this collection. A popster of the first magnitude, his life story and career in music from 1950-1960 are documented on Bear Family's Heartaches ByThe Number (BCD 15454). Mitchell's career was crafted and shaped to perfection by the folks in charge at Columbia Records: Mitch Miller and Ray Coniff. His sessions were tightly choreographed, from the choice of songs to the sound of his vocals and the backing style. Good natured, upbeat, sing-along music for a ‘50s, lobotomized, Father Knows Best culture. The formula was never so obvious as Mitchell's take on Marty Robbins' Singing The Blues. Somehow Mitchell and leader Ray Coniff found good-natured joy in what began life as a tale of woe. In Mitchell's hands the song unaccountably brought a smile to your face. The track we have selected is one of his rare missteps. In March 1957 the word 'rockabilly' was everywhere, spurred into the public's consciousness by the success of Elvis Presley and a host of others in his wake. Other than getting the title right, the song understands little of what the genre was all about. The band features five guitar players, including New York stalwarts Billy Mure and Al Caiola. No matter. To listen to this song, you'd think rockabilly was some kind of demented dance craze. It's not clear what Elvis or Gene Vincent have to do with do-see-do, fee-dlee-dee, or mountain juice, but that's what's being sold here with a good-natured sing-along feeling. To its credit, the track is fine for dancing. As they used to say on 'American Bandstand,' "It's got a good beat and you could dance to it." The dilemma posed by this track is something we encountered on 'They Tried To Rock: The Hillbillies' as well (BCD 17359, 17406). A lot of these folks were singing about people who rocked. They sometimes had a quaint, outsider's view of what was going on in the inner circle. They depended on clichés and mythology to inform their lyrics. 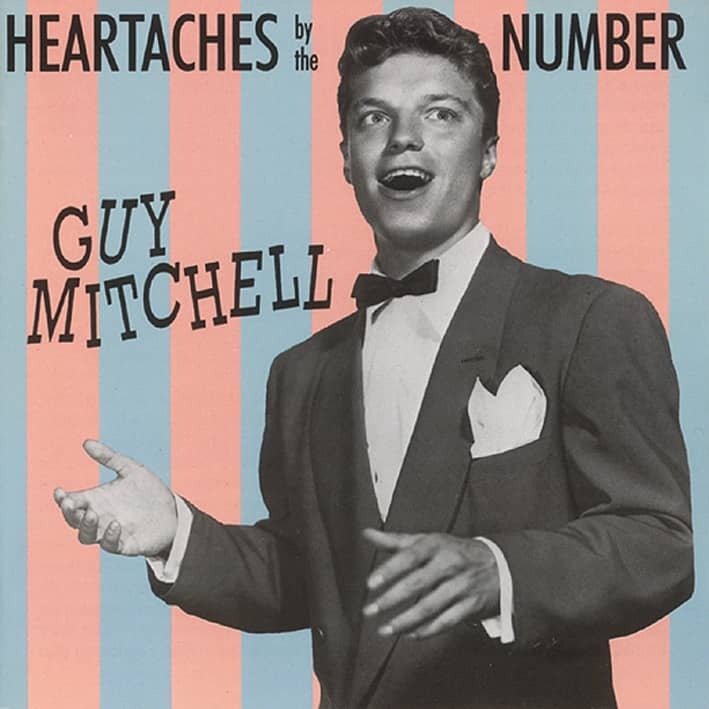 Guy Mitchell coarsened his voice but that's about all he could do here, short of refusing to sing. Purists might argue, "The song never should have been recorded. It was a piece of junk and somebody should have known better." Pragmatists could quote Luigi Creatore: "A good record is one that sells." This one went to #10 on the charts and stayed there for 17 weeks. In any case, Marty Robbins was furious at Mitch Miller for bringing in popsters to cover his country hits. Would Marty have recorded this song? 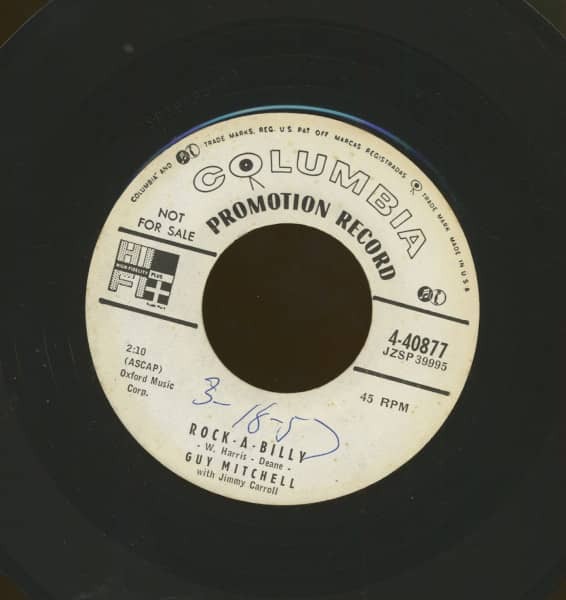 Here's a rule of thumb: rockabilly songs don't usually use (or need to use) the word 'rockabilly.' Of the thousands of songs in the tape archives at Sun Records, only one comes to mind that used the word and, wisely, Sam Phillips didn't issue it. 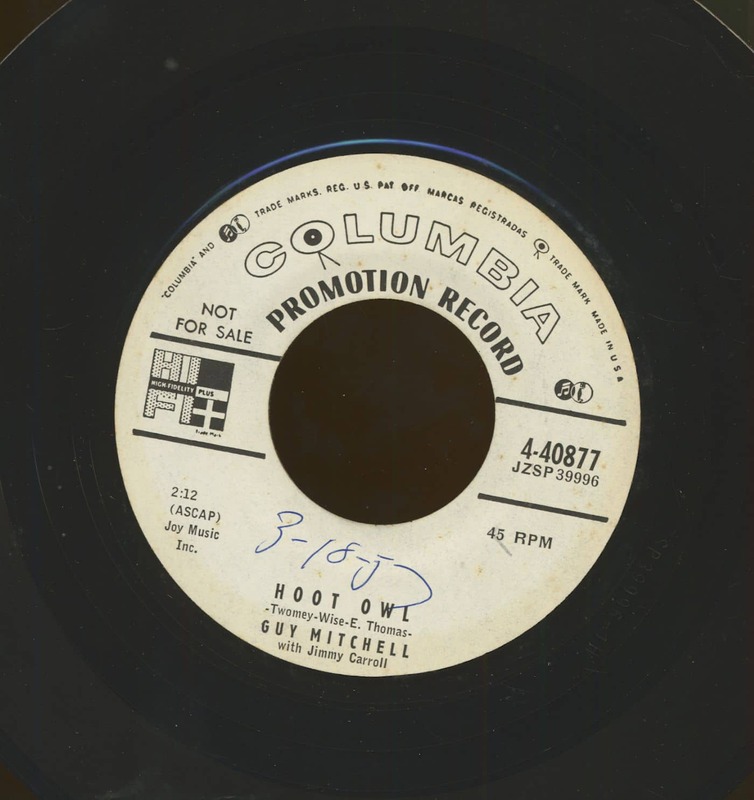 Customer evaluation for "Rock-A-Billy b-w Hoot Owl (7inch, 45rpm)"